NEW ORLEANS (AP) — New Orleans-born actress Patricia Clarkson, “Supernatural” star Jensen Ackles and “ExtraTV” host Mario Lopez are among the stars headlining New Orleans parades leading up to Mardi Gras. The Krewe of Muses says Clarkson is the first person to serve twice as Honorary Muse — someone considered a role model for the city’s women and girls. Clarkson won Golden Globe and Critics Choice awards this month. 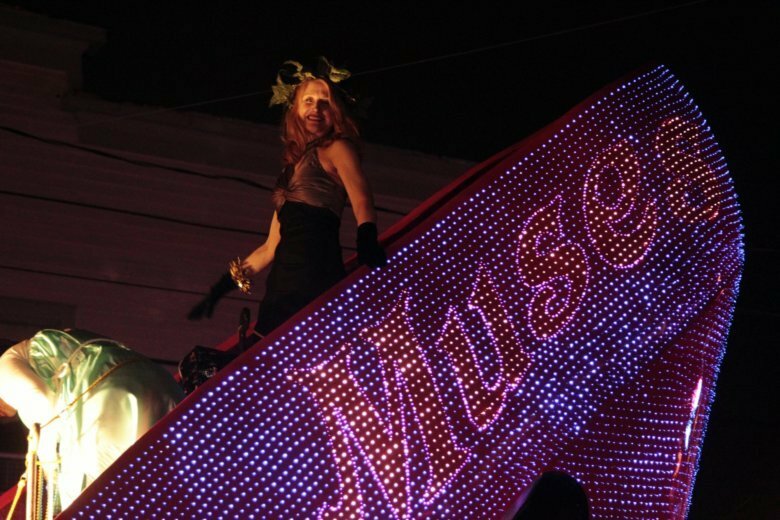 The Muses roll on Feb. 28. The Krewe of Bacchus says Ackles will be the 51st Bacchus, god of wine and cheer. Bacchus parades March 3. Lopez will be monarch of the Krewe of Orpheus. He’ll ride with parade co-founder Harry Connick Jr. and country music star Trace Adkins on March 4, the evening before Fat Tuesday. News releases Wednesday announced all three.